A very quick posting around the release of the VCAP6 design beta exams. 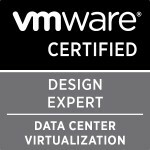 I know the internal VMware round was happening this week and now they have opened the design beta exams for the DTM,CMA and DCV https://blogs.vmware.com/education/2016/02/new-vcap6-beta-exams-now-available.html . make sure you register for the one you want most first as the validation can take a bit of time and you can only do one authorisation at a time it seems. Here’s hoping the VCAP6 beta exams go better that the VCP6 beta exams did. Categories: Certifications, vBrownbag, VCAP, VCDX, vCloud, Virtualisation, VMware | Tags: Beta, Certifications, VMware, vSphere 6 | Permalink.